Boxer Katie Taylor has got her chance to compete at the 2012 London Olympics. In Berlin, the International Olympic Committee’s (IOC) executive decided yesterday women’s boxing, which narrowly missing out on inclusion at Beijing last year, will be part of the London programme. Women will compete in flyweight (48–51kg), lightweight (56–60kg), and middleweight (69–75kg) divisions, with 12 boxers in each weight. Taylor, aged 23, is a double world champion, three times European champion and last year was voted the best female boxer in the world by the sport’s governing body, the AIBA. She has lost only lost once in 61 fights, with 39 consecutive victories in the past three years. Her great ambition was to compete at the Olympics. China and Russia in particular can now be expected to throw more energy into their women’s boxing programs, but Taylor still has a good chance of taking a medal in London. Boxing was the only sport in the games without female participation. Last month, a Canadian supreme court judge rebuked the IOC for its bias towards male athletes which made yesterday's decision inevitable. London will be the first Olympic Games where men and women compete in all the sports on the programme. Women's boxing made a brief appearance on the Olympic schedule in 1904. With the news that rugby and golf, for both men and women, are to be included in the 2016 games, Ireland's hopes of Olympic success in the future have brightened. There is a small downside for Irish hopes of boxing medals. So that the total number of male and female boxers can remain at the current quota of 286 athletes, one of the men's weight categories must go. Likleiest candidate is the 48kg light flyweight division in which Paddy Barnes won a bronze medal last sumer. Barnes may now be forced to move up to the 51kg flyweight class, which is more competitive. Sean Lavan was a man of many talents, both athletic and academic. 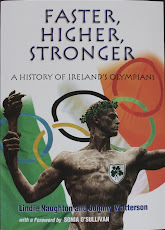 An Olympian, he represented Ireland in the 440 yards event, and he played Gaelic football for Mayo. He taught for a while before studying medicine. He later qualified as a surgeon and lecturer in anatomy. Born in Kiltimagh at the end of the 19th century, he attended Ballyglass National School. He won the King's scholarship and trained as a national teacher in Waterford. He taught for a while in Cloongulane National School, near Swinford. He became interested in handball at that time, and became quite proficient in the game, beating the Irish Champion on one occasion, and earning the familiar name "Baller" Lavan. As a handballer, he could use both hands equally well. While playing for Mayo during the All Ireland semi-final of 1921, he adopted the " toe to hand" method of running with the ball, and scored what he thought was the winning point, only to have it disallowed. The "toe to hand" or "solo run" would later become a fundamental skill in Gaelic football. When a wrist injury forced Sean out of football, he turned his hand to running and won his first race, barefooted, in Castlebar. Other successes quickly followed. He established many records, and went on to represent his country in the 1924 Olympics. In the field of medicine, he excelled. He was awarded the O' Farrell Medal for surgery. He became lecturer in anatomy in UCD., and subsequently surgeon in Temple St. Hospital and police surgeon. Sean Lavan was born on 21 December 1989 and died in Dublin 5 August 1973. Belfast boxer John Caldwell has died at the age of 71 after a long battle against cancer. As an 18-year-old, Caldwell won a bronze medal in the flyweight division at the 1956 Olympics in Melbourne. Five years later in 1961, he clinched the world bantamweight title after beating Frenchman Aphonse Halimi. Caldwell lost the title a year later against Eder Jofre in Sao Paolo Brazil and then was edged out in after an epic battle with Freddie Gilroy, another Belfast and Irish Olympics great . Caldwell's victory over Halimi had made him the first Irish world boxing champion since Rinty Monaghan in 1948. Despite the two losses, Caldwell came back to win Commonwealth and British titles in 1964 before retiring from the sport a year later. 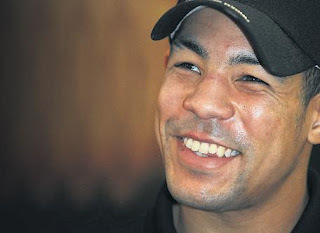 Caldwell was regarded as one of the most skilful boxers ever to have come out of Ireland, as well as one of the bravest. He was exceptionally unlucky to have lost his Olympic semi-final in 1956 at a Games where three other Irish boxers, including Freddie Gilroy, claimed medals. Caldwell boxed with the Immaculata Club in Belfast.